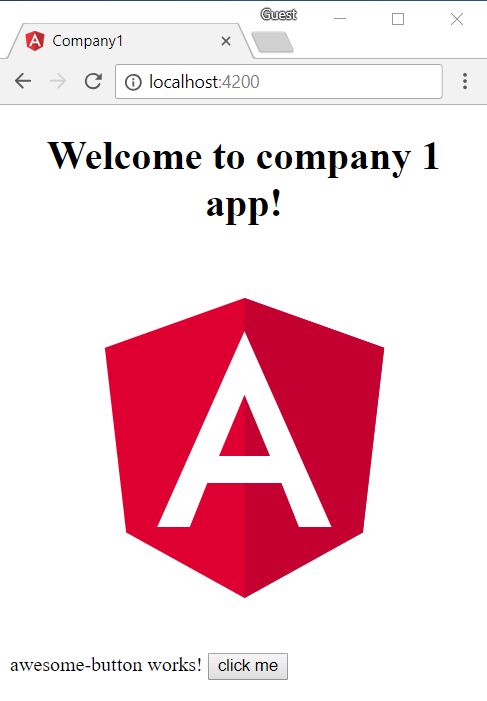 In this article, I will discuss some ideas how to produce individual Angular apps. How do we get one app per customer if we have 100+ customers? There is nice a REST API backend with Swagger in place. No work here. Hooray! There is a (technically outdated) web application to provide the UI. Everything should be re-implemented with Angular, of course. There are more than, let's say, 100 customers. One of the current unique selling points are the specific apps. Every customer can purchase a different set of features for different fields of applications. This is, for example, the main feature X along with customer management, debt collection and reports. Bigger customers might also want a full HR solution, and so on. You get the point. We could also use *ngIf directly, but we would need to add some own boilerplate code around. * The term "workspace" refers to one Angular CLI project in one physical folder. I don't want to confuse this with the word "project" in the context of the new multi application/library support (see below). I'm a big fan of Angular modules that are compiled and delivered via NPM. NPM packages have versions and can demand dependencies. The great thing: they can be hosted privately on NPM or a local mirror like myget, TFS (on-premise or in the cloud), Nexus, verdaccio (a fork of good-old sinopia) and many more! Before Angular CLI 6 was released I was used to ng-packagr. It took me some time to configure an existing product to work as described in the demo ng-packaged. But it the end, the work has paid off (e.g. here). 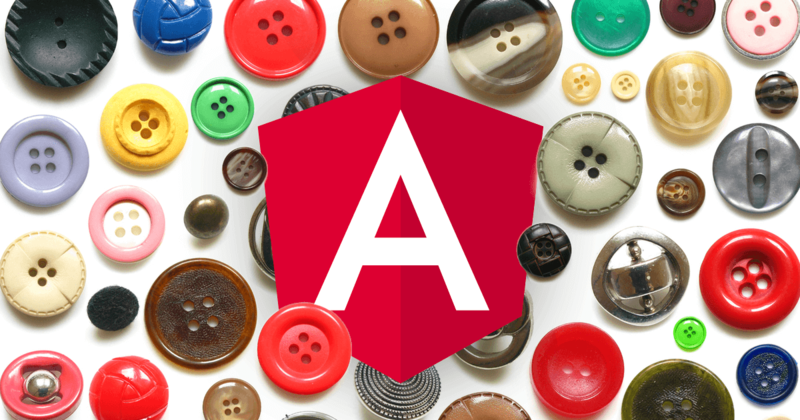 What you get is an NPM package with an Angular library in the Angular Package Format which is relatively easy to setup but also highly configurable. With version 6 of the Angular CLI we finally got "official" support for multiple projects in one folder – which is great! Take a look at the new workspace file (angular.json) for that. A project can either be an application or a library (see here). The library support actually works on top of ng-packagr. You should now have a library inside projects/my-lib. It contains a component and a service inside an NgModule. Read more about library creation in the Angular CLI wiki. We could create one (or more) projects that contain the ultimate, full-blown app. Every feature would be organized in one NgNodule and would be delivered as one NPM package. Consequently, we would need 100 smaller workspaces that compose those NPM packages. We would have one big app and each customer has their own Angular CLI solution. Approach #2 was based on the idea of multiple libraries. Now we have multiple apps which derive from the big fat application. We reduce complexity, since we don't need to publish a big amount of NPM packages around. The first application could be the "big fat application" that contains all feature modules and shared modules to have the full picture. All other applications could only use the required NgModules – and not more. I see pretty few disadvantages for the last approach, so I definitely recommend #3. If this doesn't scale, we can still mix #2 and #3 by extracting some parts into separate NPM packages. Let's try this out using the Angular CLI (v6.0.3 at the time of writing). This will create the new component at the right place and also tweaks the libraries module so that the component can be imported from other places. In our case this step is not strictly required, we can use the component within our templates anyway. However, it will be useful to have access to that type, e.g. if you want to use the NgComponentOutlet later on. Running ng build every time you change a file is bothersome and takes time. In the future the Angular CLI team wants to add watch support to building libraries so it is faster to see changes. Please refer to this documentation for a full explanation of the current limitation. However, I don't think that we have to wait a long time for a suitable solution. All commands are explained here. This gives you the quickest possible out-of-the-box solution available. The folder structure is beautiful by default and we have a ton of blueprints (schematics) available. It looks almost the same, but the ng generate commands will produce different output, since under the hood another schematic is used. For example, the --prefix option will be ignored as the tool follows another convention. Also the router configuration will be inline and so on. You may like this different flavor. However, we have to keep in mind that @nrwl/schematics adds yet another dependency and a layer of abstraction into the solution. Personally, I'd stick to the DYI approach. We can achieve almost the same with pure Angular CLI – and still get inspiration by using the best ideas from Nx. Header image based on picture by FreeImages.com/Zsuzsa N.K.